While sitting in my balcony one Spring morning basking in the Sun's healing vitamin D rays, enjoying the breezy scent of a double "Folla," I took up a map of Zamalek and found an article about the birth of this island district then known as Gezira. 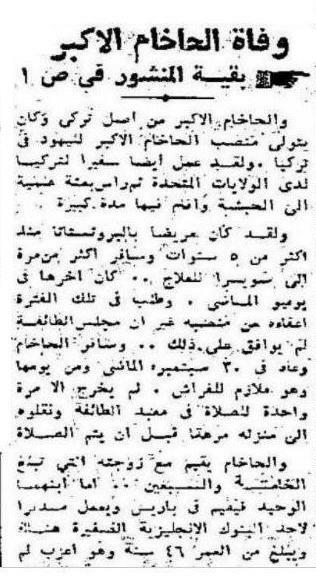 It was authored by the one and only Samir W Raafat. He mentioned so many interesting facts about the island particularly its buildings. Excepting one: MY OLD SCHOOL! So filled with justified indignation I picked up the phone ready to call down the wrath of Heaven on him, when he simply replied: "Carmen, this same incident happened two years ago and you promised to send an article about your school for BN. I am still waiting..."
Quite abashed, I again promised to send it post hate. So here it is dear Samir! In 1942, after obtaining the Certificat d'Etudes Primaires from the Lycee Francais of Bab El Louk, a bunch of school friends--Mireille, Denise and the other cousin Denise etc... decided the war being still on and the British troops swarming all over Cairo and its suburbs, it was high time we learnt English especially since Mrs Inglott's once a week session at the Lycee was barely enough to learn how to say "Hello" with a proper accent. 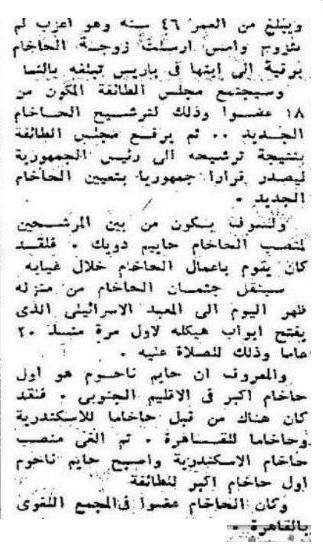 I really can't remember why our choice rested on Alvernia English Convent School for Girls except that it was in Zamalek therefore convenient since we all lived near Tahrir Square, which at that time was called Midan Khedive Ismail. To my knowledge Alvernia was part of an Irish trio--The St Clare's in Heliopolis, the Immaculate Conception in Shoubra and the Alvernia in Zamalek. Originally located at No. 2 Kaddis Youssef Street in Zamalek, the school moved in 1938 to No. 28 Mohamed Mazhar Street, opposite what is now the Safir Hilton Hotel. But in those days the street was lined with posh villas and beautiful trees. The school was actually one of these villas with an imposing iron gate and a large courtyard in the back. The school's basement was the "refectoire" or dining area. As school started at 08:00 and ended at about 16:00 we had a lunch break at 12:00. Each girl brought with her a lunch basket leaving it in the school basement-kitchen. A sister-nun was responsible for appropriate heating at the required time. As for the mostly Irish Franciscan sisters who taught us, they usually ate boiled cabbage with the resultant odor permeating the place. I also distinctly remember how the nuns, headed by Sister Mary Odile, were covered from head to toe with only the face and hands appearing. Some were very beautiful. But beautiful or ugly they were excellent teachers. The classes were on the floors above the basement with not more than ten or twelve girls in each class. We were taught history, geography, mathematics, geometry, algebra, English literature and Latin. We were also taught drawing, sewing and singing. In later years we were taught shorthand. Every morning the school bus picked me up at 07:00 sharp. At 08:00 the entire student body regimentally lined up in the schoolyard for gymnastics. It lasted at least half an hour. We would then march up to the upper floors. On the first floor was a room turned into a small chapel. Only Christian girls were called upon to pray. The rest of us would go and start our own classes. Each year, the three schools joined together to give an operatic performance at the old Cairo Opera House long before it burned down. This was also the school's fund-raising relief contribution for children in occupied countries during the WW2 years. One Year we performed the operetta The Magic Key. It was about gypsies and a haunted castle. Naturally it was an all-girl cast with the male parts played by older girls. While Mrs Robertson taught us the lyrics, the dances were choreographed by Mr Hemo. The girls chosen to participate were allowed extra time off to be able to learn singing and dancing. On this occasion the Cairo Opera House was filled with parents, relatives, friends and other schoolmates. I strongly believe these events enhanced in us the love of the Opera and music. 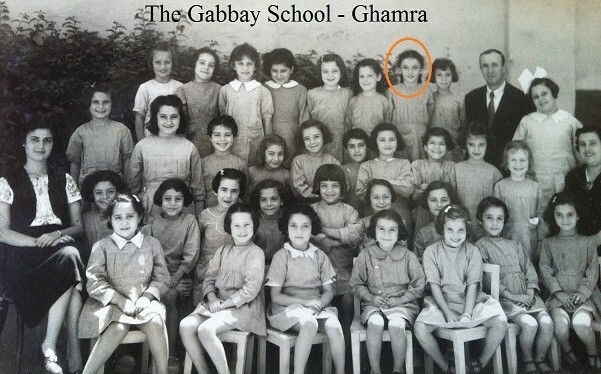 In 1946 I sat for my Higher School Certificate which I passed with above average grades. Of the three schools Alvernia's students always scored best which is probably why I was readily accepted in 1947 at Cairo University's (then called King Fouad University) Faculty of Arts - English section. 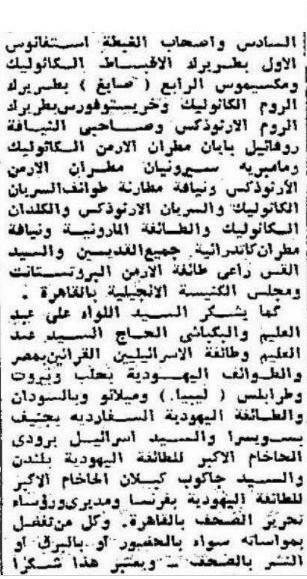 Today, I no longer remember when Alvernia closed down, most probably in 1955 with only St. Clare in Heliopolis surviving to this day. Sadly, Mohammed Mazhar Street today is full of shops squashed under ugly tall buildings that came to replace the elegant villas. Those that miraculously survived are now embassies along with the imposing Cairo Library which was once owned by royalty. It is precisely for lack of any evidence on the ground and in view of the deteriorating streetscape that I hastily write these nostalgic words lest I myself forget that there was once a school called Alvernia in Zamalek... its memory gone forever. 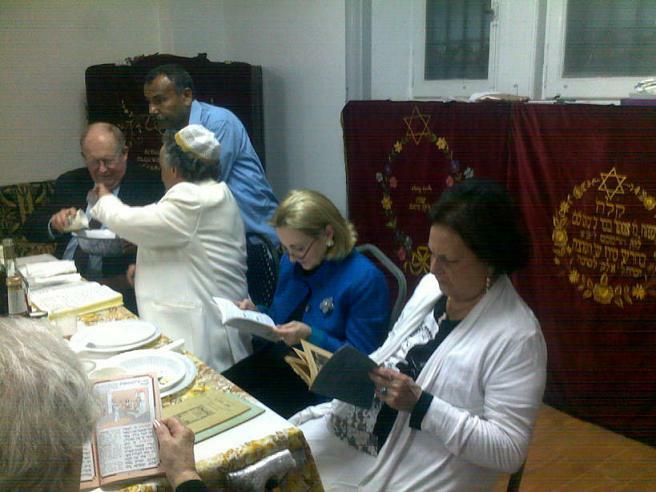 This year we held Seder in Shaar Hashamayim and as is our custom we invited Jewish students, expats and foreign diplomats as well as Jewish tourists and visitors passing through Cairo. In view of circumstances we estimated an attendance of 30 tops including the Jewish Community members and their families and friends. But as more and more attendees appeared at the last minute, we ended about 50. True this is still far less than half the number of previous years but then Egypt had its revolution in January 2011 and things are still volatile to say the least. This year's Passover was presided by Rabbi Marc El Fassy. Our fearless white knight arrived from France "envers et malgre tous" who begged him not to come as it might be too dangerous. As though Toulouse was not dangerous, or Jerusalem and Los Angeles for that matter! Also as is customary in Egypt there was lots of food, drink and fruit provided by the Community. In addition, there were the beautiful flowers brought by some of the guests adding to the festive atmosphere. This year we also had the pleasure of hosting Maurice Chammah and his young American wife Emily. The 2011- 2012 Fulbright Fellow and sometime violonist in Texas thoughtfully posted an essay on his blog (see below), which made me realize how people see us from the exterior and how mistaken this vision can sometimes be. I am therefore commenting on Chammah's informative blog with regards the JCC in an attempt to give readers a more factual perspective of our tiny community. 1. A Cornell University graduate in Near Eastern studies, Mr. Chammah misguidedly states on his blog that US-AID restored the Synagogue and its adjoining reception halls (where the Seder was held). The Synagogue was indeed restored in 1980 following the Peace Treaty between Egypt and Israel but as already mentioned in Issue No. 12 of Bassatine News, which Chammah did not read, the funds for that landmark enterprise came from the World Sephardic Federation headed at the time by Mr Nessim Gaon of Geneva, Switzerland. At my request as president of the JCC, the Synagogue was once again restored in 2007 but this time under the supervision of the Egyptian Ministry of Culture's Antiquities Department headed then by Mr Zahi Hawas. It was the year in which we celebrated Shaar Hashamayim's centennial. The Department took it upon itself to paint the entire Synagogue and refurbish the marble Bima which had collapsed. Additionally, the said Department repaved the alley leading to the courtyard. The JCC meanwhile restored the reception rooms and renovated some of the facilities adding a marble fountain in the courtyard at its own expense. US-AID was never involved in ANY of the above. 2. Until about ten years ago, the ambassador of Israel would hold Seder in a Cairo Hotel or in the embassy residence garden in Maadi. Over and above the embassy staff he generously invited the members of the Cairo Jewish Community as well as Jewish expats, tourists and students. When this practice stopped due to a change in ambassadors, the JCC reversed the process so that now it was for the members of the Israeli embassy (not traveling for the High Holiday) to celebrate with the JCC at Shaar Hashamayim Synagogue. As for the special menu and dishes, these are supplied courtesy of the JOINTand NOT as erroneously mentioned the Israeli Embassy. Likewise, the Joint also subsidizes the JCC with imported medicine and some of the hospital bills. 3. If the rituals are read out and explained in Hebrew, French, Arabic and English, this is to help attendees understand some of our liturgy. This multi-babble is customary with Egyptian Jews who were always adept in many languages. Somehow, any conversation would start with one language and then shift to another and so on. To our young American blogger the above may sound strange but the same thing can be said about the medley of people who through the decades attended our celebrations. In my own family, in the days when Egypt numbered 70,000 Jews, we always invited Moslem and Christian friends to partake in our celebrations. In return, we were invited to attend Xmas or Easter services in Cairo's many churches. And, as always, the first day of Ramadan, we were breaking the fast with our Moslem friends. Their Bayram (religious holiday) was shared by us. There was never any problem in having a mix of Jews, Christians and Moslems at various religious holidays. So why should it be different now?! Perhaps it was also the same for the late Professor Albert Moise Chammah who hailed from Aleppo, Syria (Maurice's father passed away in Austin, Texas in 2008). 4. Since the Haggada is filled with references about leaving Egypt, the tri-lingual Rabbi finds it incumbent to remind everyone that this happened 6,000 years ago and the Egyptians rulers of the time were the Godlike Pharaohs who naturally rejected any divinity other than their own. This reminds me of an anecdote when I was passing through customs in New York years ago. The employee checking my passport exclaimed laughingly, "Weinstein? I thought all Jews left with Moses." I replied in jest "Well, as you can see some of us decided to stay behind because we love Egypt no matter what!" One last word before I sign off. Rabbi Mark El Fassi is president of an association in France called "Les Enfants d'Abraham" (chidren of Abraham) whose members represent the three religions: Judaism, Christianity and Islam. The full name of the association is "Esperance des Enfants d'Abraham pour la Paix" or Peace Amongst the Children of Abraham. Peace is such a divine word that we always pray for it in whatever language. 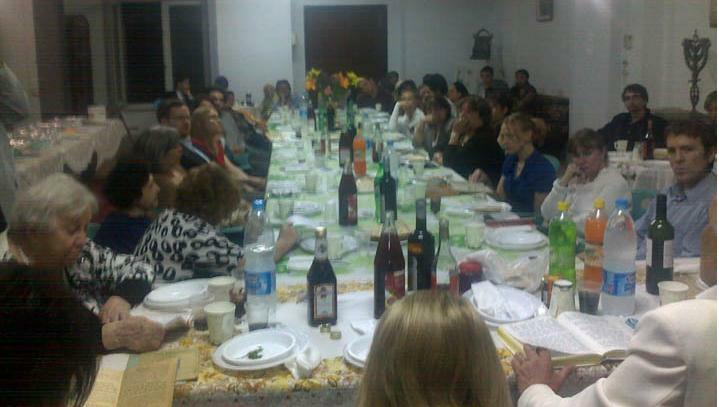 Passover Seder in Cairo is held in a low-ceilinged white room behind the USAID-restored Synagogue downtown. There are easily thirty guards outside. If you're not on the list (RSVP by email or phone) you've got to have your passport copied. Most of the Jews who arrive found out by word of mouth or email list. They don't advertise on the website, because, in community leader Carmen's words, "you don't know who could be reading it." The Rabbi has been flown in from Paris. He is originally from Marrakesh, Morocco, and leads the Seder in a mixture of languages, English being the fourth tier behind French, Hebrew, and Arabic. There are Jews at the table from Egypt, of course, as well as France, and the U.S., and lots of Egyptian Muslims who are here either due to intermarriage or friendship and curiosity. The Israeli Embassy used to take charge and provide the ritual foods, but they have drastically downsized their operation and now go back to Israel on the weekends. The U.S. Ambassador is here, sitting next to the Rabbi at the head of the table. Most of the rituals are familiar but different, and mostly unexplained. Most of the attendees maintain conversations throughout the long, traditional chants by the Rabbi and chomp on matzah as they wait for the food. They don't have haggadot, although the booklets are available in a far corner, stacked in a lonely pile. Wine and matzah have been donated, though the latter is surprisingly available in Cairo's fancier neighborhoods. At one point, we are dipping the parsley in the haroset. Then, we are eating the matzah before washing our hands. I attempt to ask about this, but since I only speak the fourth tier language well, and the third tier language passably, I give up after a lot of confusion. There is an American Jewish journalist who hopes to write about the dwindling community, and then an American Jewish non-journalist who is assumed to be a journalist because she does not 'appear' Jewish. And then there is Emily. The community�s lawyer seems to think she is Filipino. The Rabbi, telling the story of Exodus, attempts to address the obvious irony, which had so often led to laughs at our small Seder among friends the night before: the fact that we are celebrating Passover in the country that Passover celebrates having left behind. "Now," he says in broken English, translating from French, and then in Arabic, "Jews, Christians and Muslims all together, no problem. But back then, they did not like the Jews, so we had to leave." 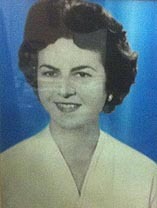 Celine Nahmad is the second daughter of Aaroni (Henri) Nahmad and Marie Ibrahim Mosseri. 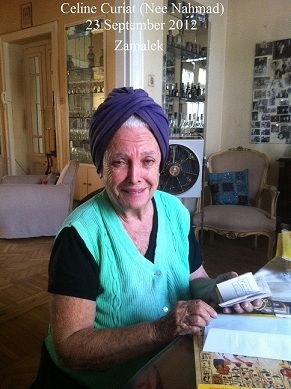 Born circa 1932 she grew up in Cairo's then respectable Ghamra-Sakakini neighborhood (@ 13 Rue Kantaret Ghamra) attending the nearby Gabbay School before joining the French Lycee in Daher. Later she studied four years in Paris obtaining her License de droit. In 1964-5 Celine married Alberto-Pacifico, the son of wealthy Jewish entrepreneur Gustavo Curiat. The marriage was duly registered at the Rabinat and a few hours later at the Italian consulate. No reception no festivity. Thereafter Celine lived with her mother in law at the handsome Immeuble Curiat in Zamalek. Built in the late 1930s the building was designed by Italian architect Serafino DiJeva whose office at the time was at Chawarby Street. In its 1936 edition Gustave Curiat is listed in the Mondain Egyptien as a director at the G. Padova & Co living in the Eman Building at No. 6 Gezira Street in the smart district of Zamalek. His mainstay however was tea importation hence the family fortune. It was therefore no coincidence when he purchased a plot of land on the same street to build his immeuble de rapport. He had three sons: Maurizio, Alberto-Pacifico and Giorgio. Marrying Elsa from Boulak, which greatly disappointed his parents, Maurizio moved to Greece where he worked for the Italian consulate in Athens. The youngest, his mother's favorite, married a Swiss innkeeper and lived thereafter in Vevey, Swizerland. Knowing he was on his last leg, Gustave Curiat asked his middle son to postpone his marriage to Celine until forty days after his death. His widow, who was of Corfou-Greek origin, lived up to 1983. When she too sensed her time was up, Madame Alba Curiat asked for Celine's forgiveness for giving her such a hard time during the interim years. She died 8 minutes later. She was followed in death three years later by her second son Alberto-Pacifico. Celine was now the sole mistress of the house but with no one to share it with since the marriage had been childless and her own family, the Nahmads, had all relocated to Switzerland in the 1950s and 60s. 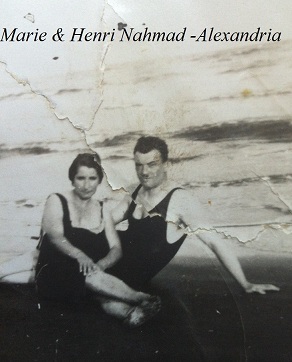 Celine's father, Henri Nahmad, was not mentioned in the Mondain. Fatherless since age eight he was a self-made man. 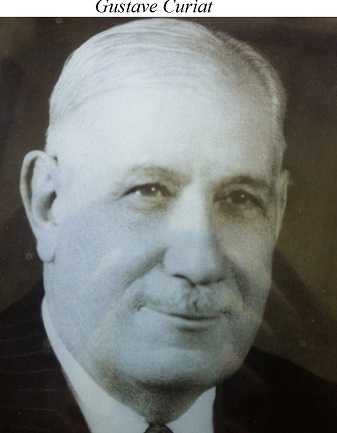 He worked at Sabbag - Hamza & Co where he supervised the growing and marketing of Ahmed Hamza Pasha's (sometime minister of agriculture) vast jasmine plantation in Nout Taha, Qalyubia, in strong competition with a Mr. Pererra. In the mid 1960s Henri and Marie left for Europe never coming back much to Hamza Pasha's dismay. Celine's two sisters had by now also left Egypt. 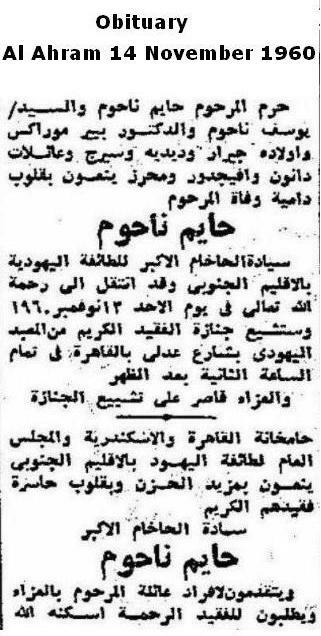 The eldest Iris-Farida, married Syrian Catholic George Bichir Sabet of Aziz Osman Street, Zamalek (brother of Gabriel Sabet of Maadi's Road 16 No. 55). Liliane, the youngest sister, married Professor Rudloph Meyer the renown plastic surgeon of Lausanne. Each couple had a pair of sons all living in Europe. When the Nahmads senior moved to (Pully) Lausanne in 1966, they lived with their eldest daughter looking after their Sabet grandchildren. 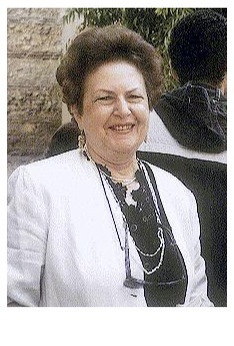 In recognition of her devoted community services a ward in the Gabriel Sabet Institute for the Handicapped at Carouge (Geneva) was named after Marie. 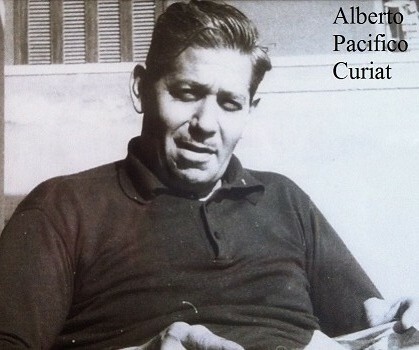 Long before he died Alberto-Pacifico Curiat was as an engineer with the British registered company W. Jeffrery-Eady (later Egyptian Central Agency) co-owned by the Litman Braunstein brothers (Max and Robert of Garden City) with offices at No. 7 Chawarby Street. It was there that Alberto met Celine who then worked as a standby accountant. "He made it a point to drive me home in his grey Fiat Topolino after work". But as it turned out love went out of the courtship very soon after the marriage. "Instead of entering a love nest I ended up an unpaid nurse for my husband's infirm mother!" exclaims Celine with unmasked frustration. 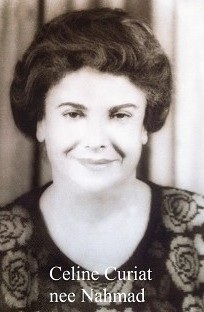 When she was not at her mother-in-law's beck and call, the trilingual Celine taught maths and French (for 35 years) at the Lycee Francais Heliopolis. When she transferred to the school's main branch in Bab al-Louk Celine also tutored the daughters of several dignitaries "Who still ask after me to this day," she says proudly. To compensate her bland lifestyle Celine indulged in reading with a preference for Selections a French version of Readers Digest. 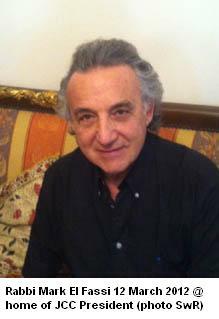 "My spare pocket money I spent at Socrates, the famous ladies hairdresser in downtown Cairo. It was pure vanity since my husband and I hardly did ANY socializing." It was her strong belief in destiny which helped Celine through a loveless marriage and an otherwise dull life. But even after the passing of her mother in law, and later Alberto, new problems caught up with Celine. For starters Alberto's brothers tried to disinherit her. Maurizio claimed she was no longer entitled to Italian citizenship "Since she had acquired it through marriage," which was of-course untrue since Celine was an Italian subject by birth. 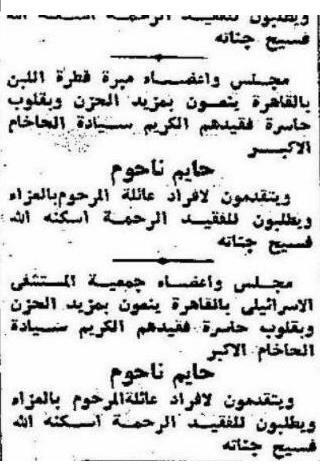 The youngest, who had already been indemnified for his father's sequestered Giza property (today a Mobil gas station opposite the Conseil D'Etat), wanted a stake in the Curiat building in Zamalek which had long ago been earmarked for Gustave's middle son and his heirs. "Aaaah... the Curiat building!" shrieks Celine. "It's been a never-ending problem ever since my husband died." Celine's headache today is the de-sequestering the Curiat building, which in the Nasser days was illegally passed on to the al-Sharq Insurance Co and later became the alleged property of the acquiring company: Misr Insurance. Lengthy court cases started by her husband are still operative to this day. Although Celine keeps abreast of educational development and the like she is computer ignorant and barely understands the magic of internet. "I feel I've become a curiosity that belongs in the Cairo Antiquities Museum," she says laughingly of herself. Curiosity-Curiat seldom goes out whether because of her age or because she is lonely, but when she does she is a keen observer of her surroundings of which she has been a witness the last 80 years. "I never regretted not leaving with the rest of my family. My love for Egypt overcame any urge to relocate. I was born and raised here and it is here that I shall die." For several years Norbert Schiller was DER SPEIGEL's photographer of choice in Egypt and the Levant covering landmark political, social and economic events. From Minnesota where he is currently based he recalls with apparent nostalgia his days photographing unique JCC milestones. For more on the subject click on Remembering the last Jews in Egypt. 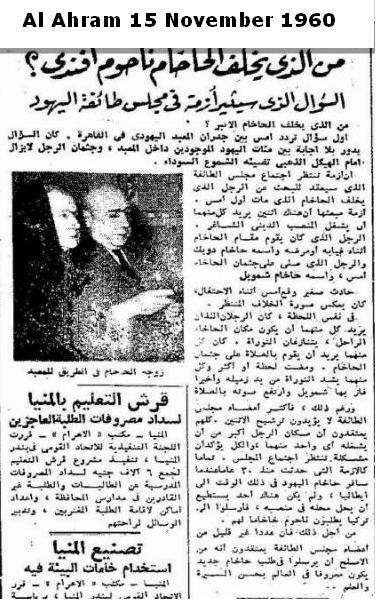 At a time when relations with Israel were at a record low, the death in Cairo of Egypt's Grand Rabbi on 13 November 1960 received all the honors due to a member of his rank. 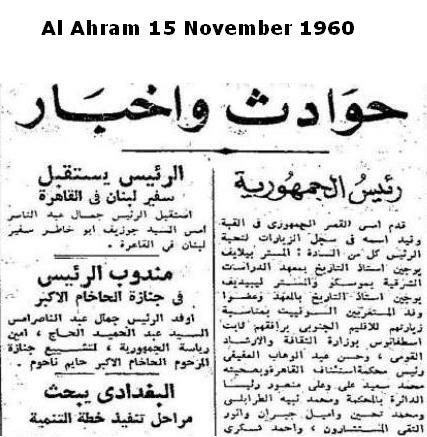 Haim Nahum's passing was prominently displayed on the front page of Egypt's state-owned daily al-Ahram on November 14 with extensive coverage on page 5. Also on page 5 was an article entitled "Who shall replace the Grand Rabbi?" The Grand Rabbi's passing was again listed on November 15 where it was announced that President Gamal Abdel Nasser had sent a personal representative to the funeral. 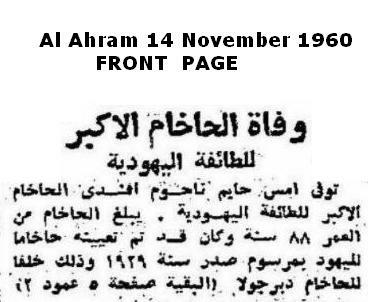 On al-Aham's obituary page many faire parts were also listed on November 14 and 15. On 12 December 1960 the Grand Rabbinate and the family of the late Grand Rabbi placed separate announcements thanking all those who either took part in the funeral or sent condolence messages. One notes how the entire cabinet, state aparatus and heads of council both seular and religious were duly thanked and acnowledged.